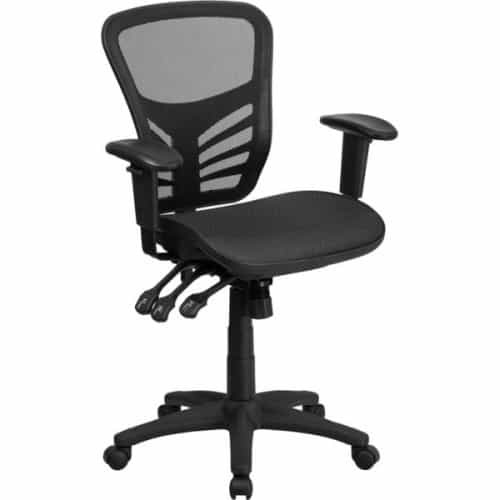 The ReFlex Mesh Chair Fully Loaded is a mid-back design with transparent black mesh seat and back. 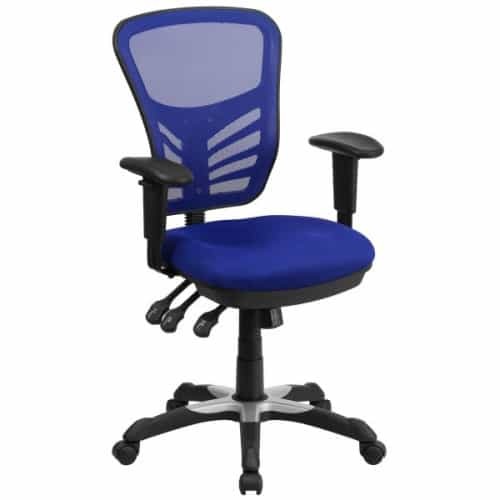 The ReFlex Mesh Chair is loaded with built in lumbar support and a triple paddle mechanism which will allow you to lock both the seat and back in an infinite amount of positions. You can lock the chair in a reclined and inclined position for your ultimate comfort. The ReFlex offers 2 height adjustments for the back of the seat to fit any sitter's height. The fact that there are so many options on top of how great this chair is makes it so worth the money! Such a great and comfortable chair with so many color options! They shipped so fast and it was the easiest process in the world. Service was great, chair is affordable and comfortable, and I am very happy with everything about this business. I had bought a few of these last month on sale and appreciate these lumbar support and the various positions the back of the chair can be locked in place. I can sit upright or in any reclined position and lock it in place. I could not afford the Aeron so I was pointed in this direction and am very pleased. I bought these from Greg while visiting the showroom. They shipped very quickly for my office. 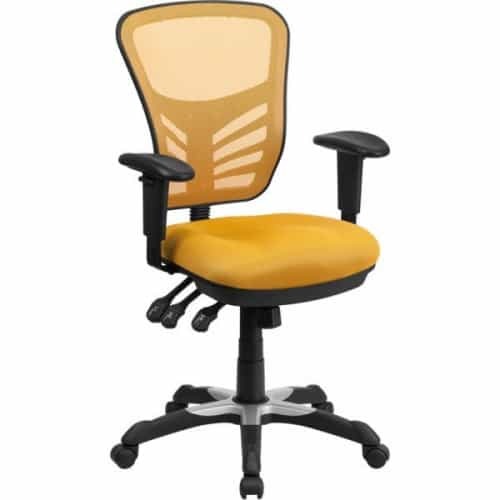 I am writing this review because of the fantastic help, service, and time I was given to answer all my questions about buying the right chairs for our new offices. I was pleased to find comfortable seating in white to match the decor of the office.